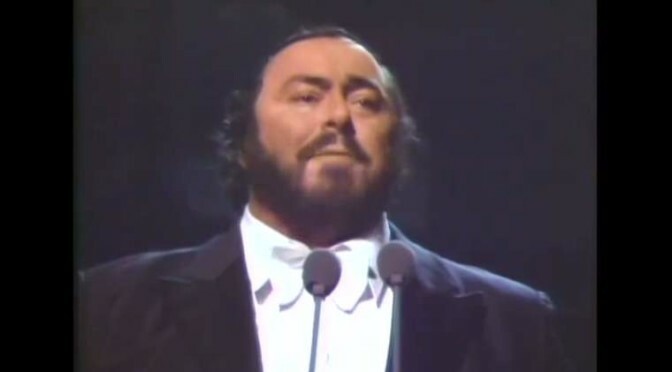 A Gala Concert by Luciano Pavarotti at Olympia Hall, Munich, Germany. Munich Radio Orchestra, conductor: Emerson Buckley. Year: 1986.